Our expert finance professionals are among the best around, and they are here to help get you in the driver’s seat of your dream vehicle. Allow our team to secure the ideal financial option for your lifestyle and budget. We always utilize top-tier financial programs at the most competitive rates to ensure you’re getting the best deal possible. 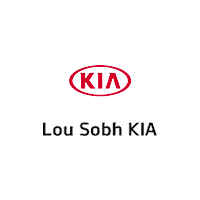 No matter what your credit status may be, whether you have good credit, poor credit or no credit, the finance team at Lou Sobh Kia is here for you. To get you even closer to that dream car, simply fill out our simple and safe online finance application so that we can get to know you better. We could even get you pre-approved starting today!